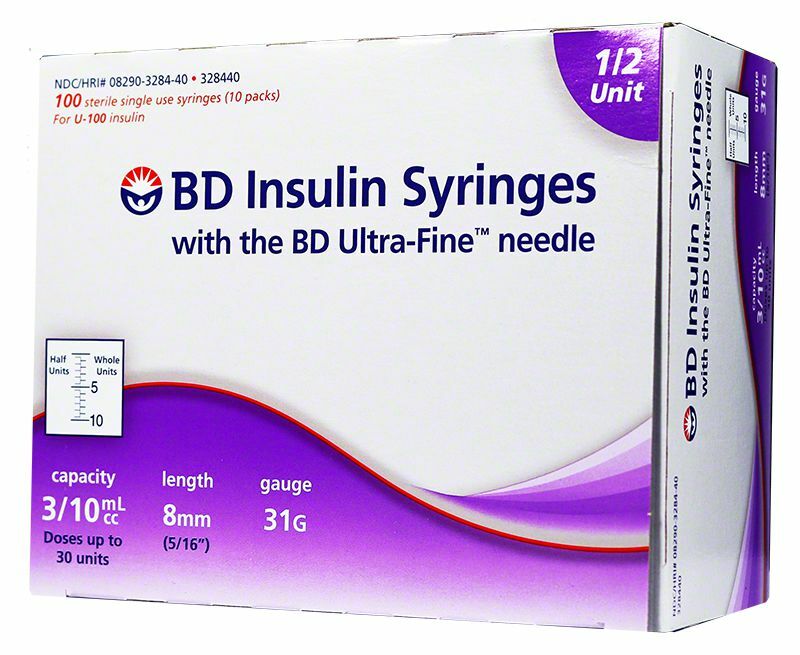 BD U-100 Insulin Syringes 31g 8mm 3/10cc 1/2 unit markings 100/bx - Case of 5 is engineered to be thinner and smoother for a more comfortable and less painful injection. Electro-Polishing - polishes away microscopic burrs giving every needle a smooth finish. Micro-Bonded Lubrication process - creates more glide and less friction. Fine-Point Technology - shapes the tip of every needle as finely as possible for easier penetration using a three-step process. Your syringes work good consistently. 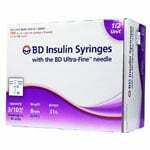 After researching multiple online stores and my own insurance pharmacy, using adwdiabetes.com for my diabetic syringe purchase was the best option. They were significantly and delivered my order in a matter of days. I am extremely satisfied with my purchase and will be a regular customer in future.